Situated within Frankston’s most desired locale, this diverse 1970’s built residence, sits behind a tree lined exterior and boasts dual living on a substantial 639sm (approx. ), block. Ticking all boxes this property offers an array of options from development, renovation and investment all within the highly coveted Frankston High School Zone. In the heart of an explosively developing suburb and near to the Frankston CBD as well as Bayside Shopping Centre, this purchase represents an opportunity to capitalise on a functional home that doubles as a rock solid investment. 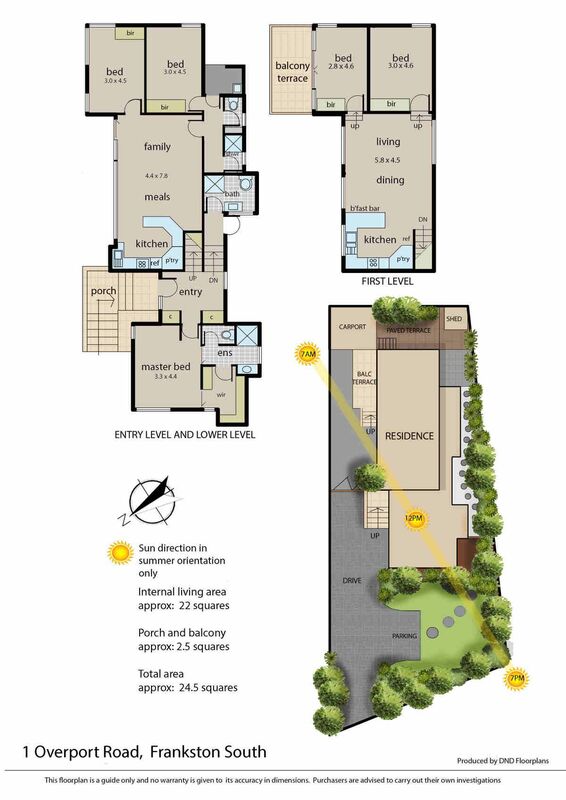 – Sprawling over two levels and set up as two separate properties, take advantage of having a secondary residence for a growing family, home office or capitalise on a huge rental return. – Upstairs features split level living and comprises of three large bedrooms with master suite boasting walk in wardrobe and en-suite. – A further two elevated bedrooms flow seamlessly from the open plan kitchen/dining zone both of which featuring built in wardrobes with the secondary bedroom having a private balcony and water views. – A modernised Kitchen boasts ample cupboard space, electric appliances and flows seamlessly to a dining/well-appointed living zone. – The rear of the home has an idyllic seating area suitable for family bbq’s, gatherings or can be re-modeled into a outdoor entertaining area.